Are you new to exercising? Have you been exercising on and off your entire life? 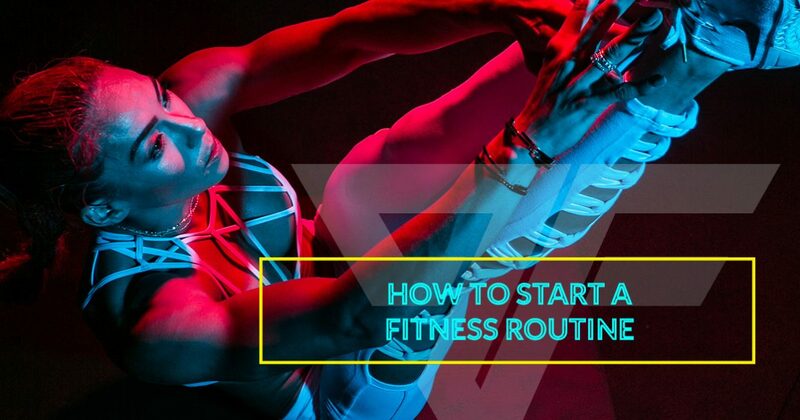 Do you want to establish a consistent exercise routine you can maintain for life? PumpFit Club specializes in getting clients moving for life. We offer group training as well as personal training that is catered to your needs, wants, and vision of what an exercise program entails. We’ll sit down with you, discover what activities you enjoy doing and which ones you don’t, and customize a plan for you. Our personal trainers have years of experience and are passionate about seeing you succeed and achieve your fitness goals, whether that’s weight loss, muscle mass gain, or just to stay healthy. So where do you start? With so many options out there and new trends, which ones are right for you? Know yourself. What exercises do you like doing? What exercises don’t you like doing? What types of exercises will you continue doing? Be honest here. If you don’t like running, then a cardio program full of runs won’t be sustainable long-term. If you’re serious about getting fit, honestly assess what you will and won’t do. There’s no shame in not liking something nor do you need a reason. Solo or group. Many people love to work out by themselves. Other people need the motivation of a group fitness setting to actually show up and get the work done. Which one are you? Schedule exercise in. Let’s face it, all of our lives are hectic. Between work, family, hobbies, and pets, we all have precious little time to ourselves. However, if you want to be fit and stay fit for a lifetime, you have to make exercise routine. It has to be an everyday activity like brushing your teeth. Schedule your workouts at a certain time and day such as Mondays, Wednesdays, and Fridays at noon. Remember this is your health. Take it seriously. Set goals. If you don’t have a goal to work towards, you won’t push yourself, and you’ll risk letting go of your new habit and slipping back into your old ways. And set a deadline. For example, if you want to run a 5k, sign up for one in 6 months. Then force yourself to train for it. If you want to shed 5 pounds in 6 weeks, set a date and aim for it. Humans need goals as much as they need companionship. Set yours today. Accountability and support. PumpFit Club in Fort Lauderdale, FL, offers affordable personal training sessions to get you moving and keep you moving. We’ll tailor a fitness program for you as well as help with nutrition to get you moving and eating for life. We’ll listen to your struggles and your wins. We’ll be your shoulder to cry on and your biggest cheerleader. PumpFit Club is here to take every step with you, no matter how agonizing each one may be. At PumpFit Club we are passionate about changing lives one person at a time. When you join our club, you join a community of like-minded people who support one another in all aspects of life. We’ll be your go-tos when you need us. We’ll answer all of your fitness questions no matter how insignificant they may seem. Your exercise goals are our exercise goals at PumpFit Club in Fort Lauderdale. Only we want to push your fitness goals ever further. Through building power and speed, improving your balance, accuracy, and stamina, and building muscles for strength and better calorie-burning power, PumpFit Club focuses on the whole body as a system that when working together achieves amazing results. Contact us today for group fitness classes, HIIT class information, personal training sessions, and overall fitness program questions!